The once sedate farm scene has turned into a roiling battle ground, pitting, at the extremes, the growing of organic crops against crops derived from biotechnology. Organic farming eschews synthetic pesticides and fertilizers, whereas crops that are derived from biotechnology are developed through the use of recombinant DNA. Although most consumers have some awareness of the attributes of organic agriculture, they know little about agricultural biotechnology. However, the increasingly strident controversy over biotechnology may replace that ignorance with confusion. In such an environment, it behooves government—and industry—to build long-term public confidence by establishing strict rules to ensure safety and choice for consumers and to safeguard the environment. And it behooves physicians to respond knowledgeably to questions from patients wishing accurate information. The US Food and Drug Administration (FDA) is responsible for ensuring the safety and honest labeling of foods, including foods derived from genetically engineered plants (also referred to as genetically modified organisms). The FDA strongly encourages, but does not require, companies to consult with it when they wish to market new genetically modified foods; to date, all companies have done so. The FDA urges companies to conduct allergenicity studies when a gene is transferred from a plant known to be commonly allergenic (or when a novel protein is introduced). Thus, thanks to premarket testing, a company found that a Brazil-nut gene that it had added to soybeans encoded a known allergen. The company did not market the product. Importantly, the allergen was identified only because it was known and could be tested for. An allergen newly introduced into the food supply (say, from a bacterium) would be difficult to identify. Critics have raised additional health concerns. For instance, levels of naturally occurring toxins, such as solanine, might accidentally be increased in genetically modified plants. Again, the FDA encourages, but does not require, companies to screen for such substances. It also is conceivable that genetic engineering might engender a novel toxicity, as suggested by a recent controversial study of potatoes that had been genetically modified. If genetic engineering were to cause a behavior disorder or autoimmune disease, or to interfere with a medicine, those risks would be difficult to identify either before or after marketing. Although the same can be said for foods derived by traditional breeding (and, indeed, high levels of toxins have occurred in several strains of traditionally bred potatoes, celery, and squash), we have had comparatively little experience with genetically modified foods. It is impossible to prove with certainty that something is completely safe, but foods that may be consumed by billions of people must be tested as thoroughly as possible. Although the widespread consumption of foods derived from biotechnology in recent years has not caused any known health problem, the FDA’s current voluntary review system lessens public confidence and should be made mandatory. The FDA should calibrate testing requirements to a food’s potential for causing harm. For instance, foods containing genes from an organism that causes allergic reactions would require more thorough testing than foods modified only with genes for known, safe proteins. Transfer of a common allergen into another food should be prohibited. And for genetically modified foods in which gene products came from nonfood sources, were present in significant quantity, or whose structure suggested a possible health problem, the FDA could require more extensive testing, possibly including studies of animal feeding, and submission of complete toxicologic data. Aside from questions of safety for consumers, genetically modified crops might adversely affect the ecosystem. The US Department of Agriculture (USDA) bears the primary responsibility for ensuring that such crops do not adversely affect the environment or agricultural practices more than their nonmodified counterparts, while the US Environmental Protection Agency (EPA) evaluates crops engineered to contain pesticidal material. These agencies face difficult challenges because genetically modified crops raise genuine ecological concerns. For instance, corn engineered to contain the insecticidal toxin from Bacillus thuringiensis may possibly trigger resistance in pests (such as the corn borer), inadvertently contaminate the gene pool of wild varieties of related species, and kill desirable insects (such as the Monarch butterfly). To obtain independent advice on such concerns, the US Department of Agriculture recently established an advisory committee on agricultural biotechnology and commissioned the National Academy of Sciences to review the department regulatory process. It would be valuable for the FDA to commission an analogous study on safety issues. Increasingly, consumers are asking that genetically modified foods be labeled. Some manufacturers and retailers are now voluntarily labeling foods and several governments abroad are requiring such labeling. Labeling, of course, should not be a substitute for safety; every genetically modified food should be safe. Yet, even assuming that those foods are as safe as conventional foods, they raise warning flags for people with severe allergies or concerns about general safety. Also, Moslems, Jews, and vegetarians may wish to avoid foods containing genes or gene products derived from animals. Others are concerned that genetically modified crops might cause environmental problems or believe that it is unethical to move genes between distant species. Regardless of what one thinks of the validity of those concerns, labeling would enable consumers to avoid biotech foods. Labeling is supported by most Americans, according to public opinion polls. The FDA should define the term biotechnology-free and allow marketers of foods that meet that definition to make a label claim. Foods containing genetically modified ingredients should be required to disclose that fact on labels (new legislation may be needed for this). If such a food contained a possible allergen, the ingredient label should indicate the source of the genes (for example, “contains [food] protein”). Finally, steps should be taken to ensure that labeling does not mislead consumers into thinking that genetically modified foods are much riskier or that genetically modified-free foods are much safer than other foods. 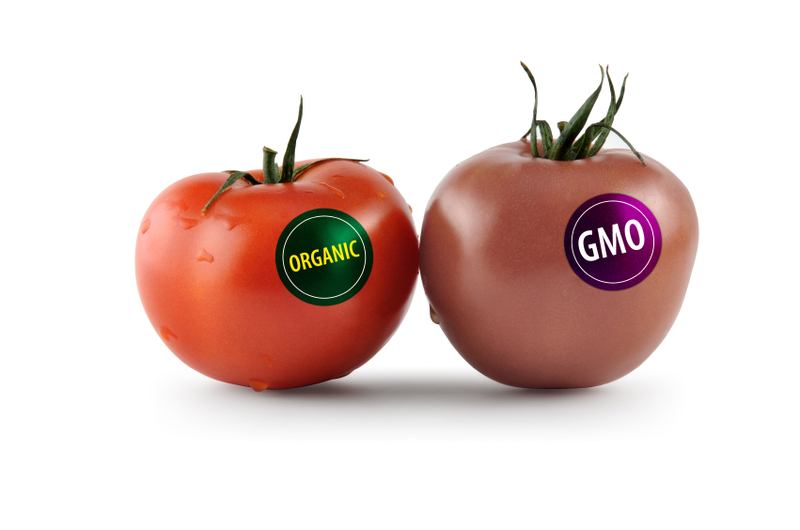 Meanwhile, people troubled by genetically modified foods can choose organic foods, the production of which minimizes risks due to pesticide residues in food and water, builds up soil, and protects wildlife. US Food and Drug Administration. Statement of policy: foods derived from new plant varieties. Fed Reg 1992 May 29;57:22984-23005. 2 Nordlee JA, Taylor SL, Townsend JA, et al. Identification of a Brazil-nut allergen in transgenic soybeans. N Engl J Med 1996;334:688-692. Ewen SWB, Pusztai A. Effects of diets containing genetically modified potatoes expressing Galanthus nivalis lectin on rat small intestine. Lancet 1999;354;1353-1354. Walsh J. Brave New Farm. Time 1999 Jan 11;153:87. Available at: http://www.pathfinder.com/time/magazine/articles/ 0,3266,17698-1,00.html. Accessed January 28, 2000. Ferber D. GM crops in the cross hairs. Science 1999;286:1662-1666. US Department of Agriculture. Advisory committee on agricultural biotechnology. Fed Reg 1999 Aug 19;64:45227-45229.